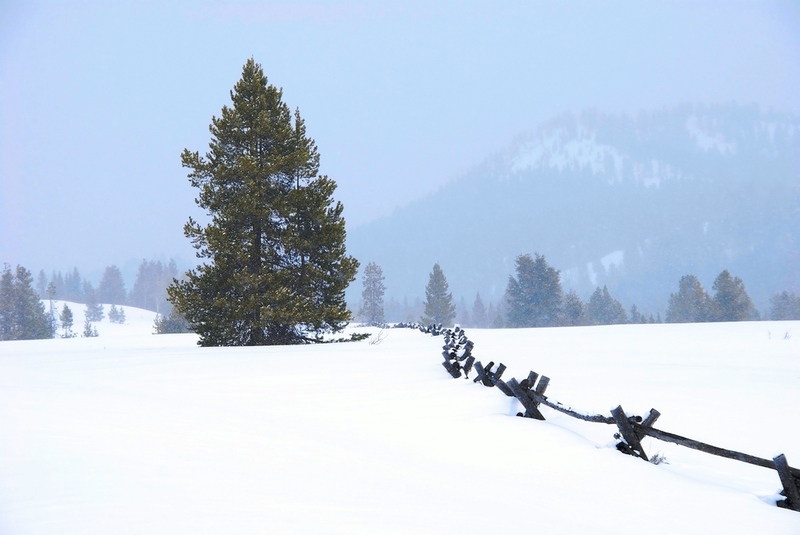 I went with a couple of friends up to Jackson Hole, WY a while back during late April, which as you can tell from the picture was not springtime yet. It was cold, snowy and awesome - very unlike April here in Central Texas. We had no real agenda, other than to have a good time. One day we drove around a bit outside of town, just cruising and having a look around, and came across this scene. I really liked the big lone tree standing there, and how this fence seems to separate not much from not much. It's a beautiful part of the country and I recommend it highly.